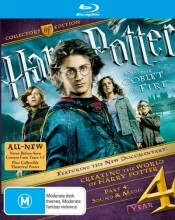 Harry Potter And The Goblet Of Fire Collectors Blu Ray from DVDLand. When Harry Potter's name emerges from the Goblet of Fire, he becomes a competitor in a grueling battle for glory among three wizarding schools - the Triwizard Tournament. But since Harry never submitted his name for the Tournament, who did? Now Harry must confront a deadly dragon, fierce water demons and an enchanted maze only to find himself in the cruel grasp of He Who Must Not Be Named. 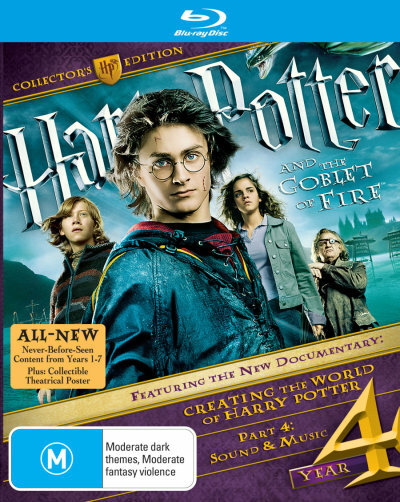 Click the button below to add the HARRY POTTER AND THE GOBLET OF FIRE - COLLECTORS EDITION (BLU RAY) to your wish list.